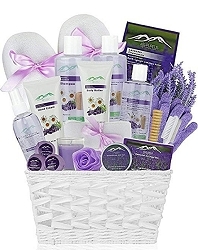 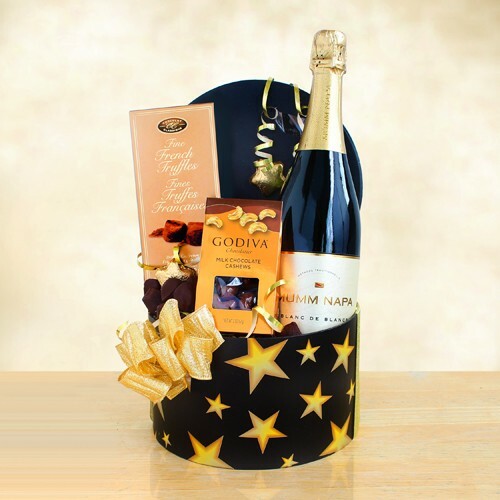 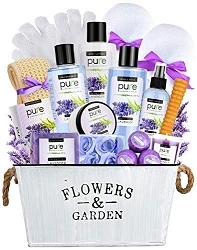 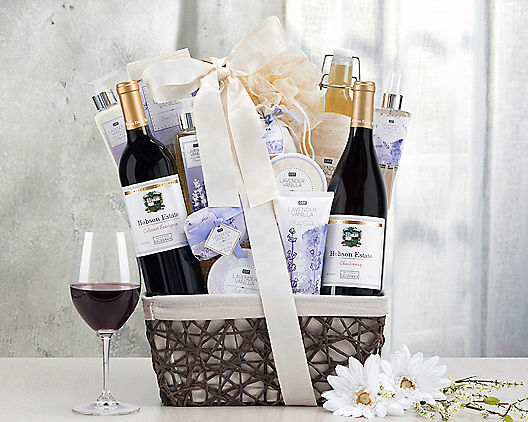 Send this exquisite wine gift selection including lavender vanilla spa products body lotion, shower gel, bath caviar and more. 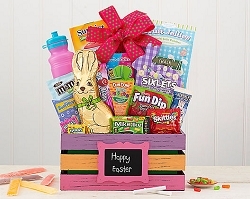 A lovely basket with liner adds an extra special touch. 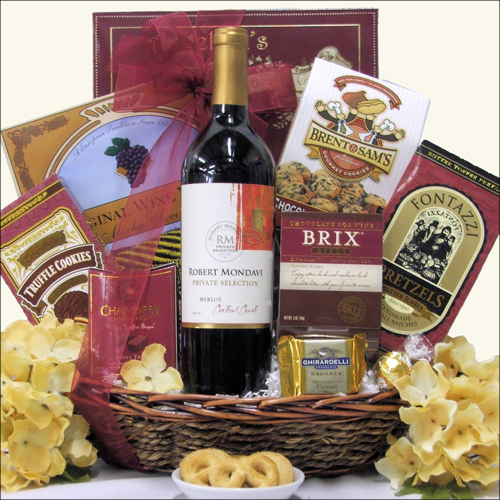 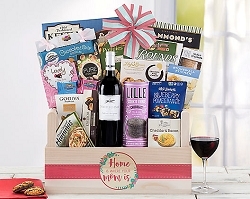 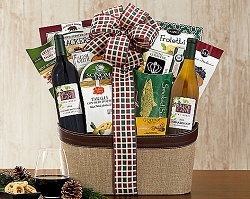 Due to Local ordinances, this gift baskets containing wine may only be shipped to the following states: AK, AR, AZ, CA, CO, CT, DC, FL, GA, HI, ID, IL, IN, IA, KS, KY, LA, ME, MD, MA, MI, MN, MO, MT, NE, NV, NH, NJ, NM, NY, NC, ND, OH, OK, OR, PA, SC, TN, TX, VT, VA, WA, WV, WI, WY. 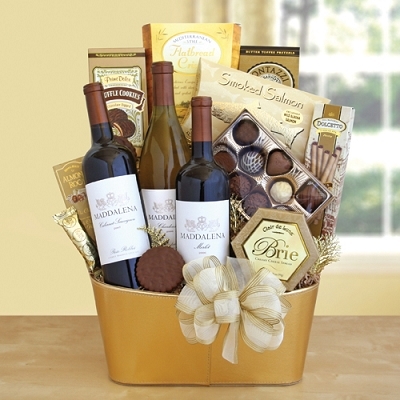 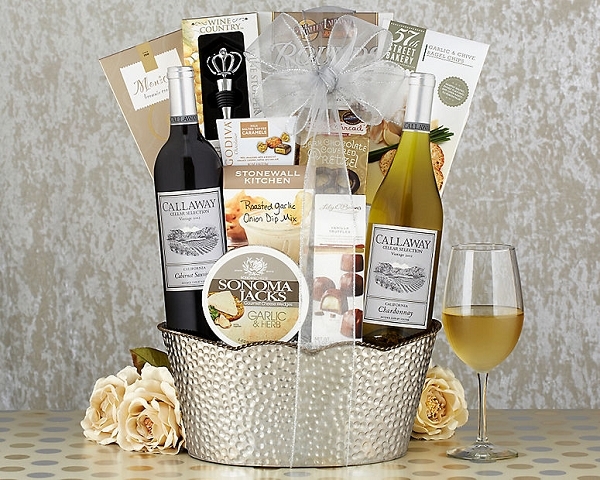 Additionally, you must be 21 years and older to purchase gift baskets containing wine.